Youth Challenge operates a fleet of lift-equipped vans. Transportation in these vehicles will be offered at no cost on a limited basis, though donations are encouraged. A participant can be picked up at school, home or another location. Van drivers are specially trained and must be 21 years of age or older. Parents are encouraged to assist with transportation to and from programs. 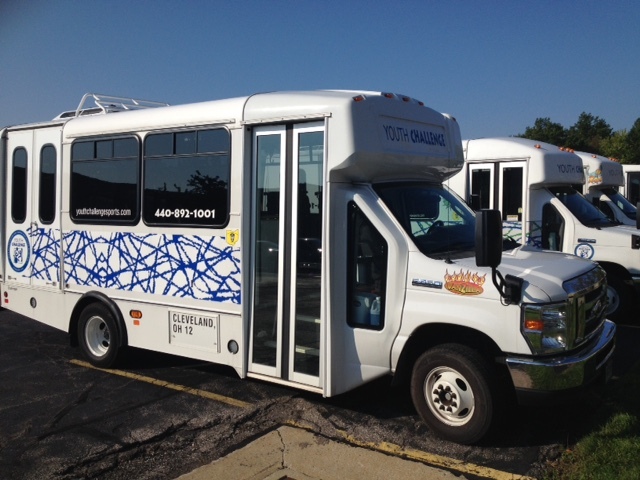 To request transportation contact Christopher Garr, Director of Program Services, at (440) 892-1001.